Beautiful box joints are ideal for jewelry box drawers, humidors, and a variety of small projects. 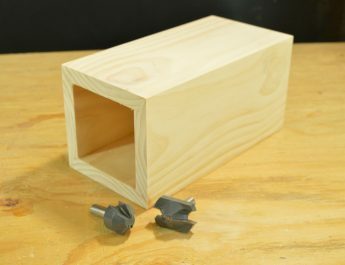 And there are many ways to make a box joint—the easiest, fastest way is using a router bit. 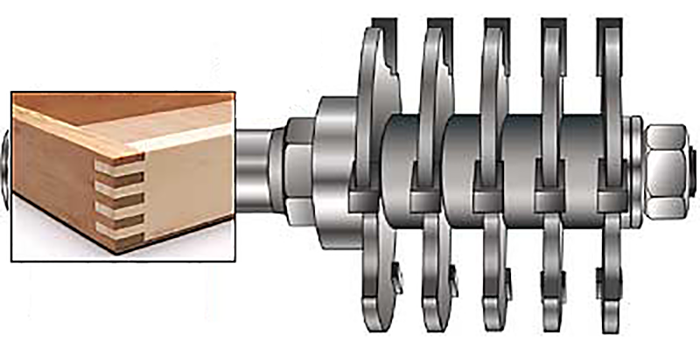 Therefore, to create this strong and good-looking joint, MLCS offers a ½” shank router bit with 5 (5/32″) three-wing, carbide-tipped slot cutters, 4 spacers, and a ball bearing guide to work with ½” thick stock, up to 2-7/8″ tall. four (4) #6 x ¾” wood screws. First, cut a base to 6” wide by 14” long. For the backer blocks, mark lines 90° from the edge, 2” from each end of the base to use as a mounting guide. Then drill mounting holes approximately 2-3/8” in from the ends of the base and approximately 1-¼” in from the edge of the base. Next, countersink the holes on the bottom side of the base to accept the heads of the mounting screws. Cut two backer blocks, approximately 6” in length. With the ¾” dimension against base and using the #6 wood screws, make sure the backer blocks do not overhang the base and secure them. 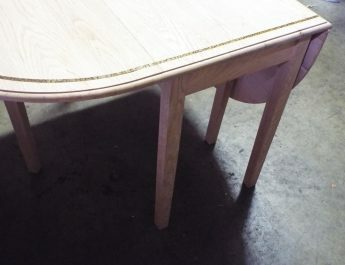 *Tip: Eventually, make sure the head screws are recessed so that they don’t scratch your tabletop. To prevent tear-out, the sled has two ends on it so that there will be support after the bit has cut through. Always use one end when setting up the bit height for the first bit. Prior to starting, re-position the bit height by raising the bit 5/32″ and use the opposite end of the sled for the second cut position. To make the first cut, adjust the bit height so that the bottom of the 5/32” slot cutters is at the height of the sled top. Set your fence so that the cutters are protruding the same amount as the thickness of your stock. *Tip: In fact, mark the top edges of all 4 pieces to keep them oriented properly. Then run the first piece of stock through the bit. Next, turn your stock to the other end and run it through, keeping orientation mark the same. *Tip: If your stock wants to slide along the backer block, apply adhesive backed sandpaper to the face of the block to help hold the stock in place. After running both ends of the first piece, run the piece that will be across from it on the assembly. To run the other two pieces, first turn the sled around and, using one of the pieces already cut as a guide, adjust the bit height so that the slot cutters are at the same height as the fingers on the cut piece (measure with cut piece positioned on the sled). Finally, cut both pieces the same as above at the new bit height. 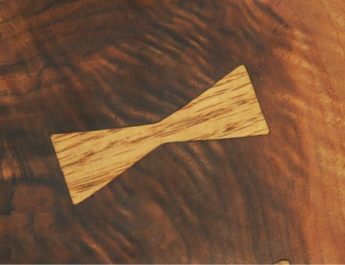 When you are done, the four pieces should form a box with interlocking corners and all pieces should line up at the same height. Usually, when you next go to use the bit, you’ll need to adjust the bit height to match the profile cut on the backer blocks.